The UAFDC Aranya club exists to educate people towards conservation, protection and development of forest areas. The methodology used to implement the same comprises of educational songs, Nukkad plays, Lectures, Press conference, Plantations etc. 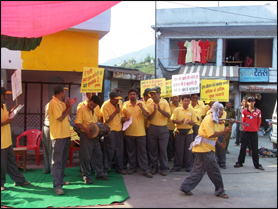 Also, as a part of educational program activities, sports competition and Jan Jagran Rallies are also organized. The activities focus on protection of forest from fire and measures to be taken for enrichment of water regime . Labor welfare is the key to smooth employer-employee relations. In order to increase labor welfare, UAFDC have been providing free medical assistance and free distribution of firewood to labors. 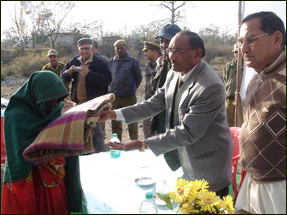 UAFDC regularly organizes free distribution of blankets to the labors engaged in minor mineral collection during winter. Also keeping in mind importance of education UAFDC has been conducting educational programs for children of labors at Dehradun and Ramnagar. 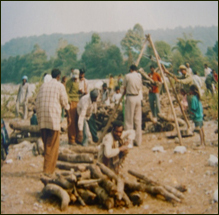 Uttarakhand Forest Corporation provides fuelwood and wood for cremation to the general public at subsidized rates. This is one of the major activities which the Corporation has been undertaking over the past many years. The wood is supplied from our Retail Sale Depots. Click here for the list of our Retail Sale Depots. 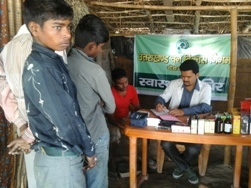 The Corporation holds medical camps for its labors engaged in Minor Mineral collection. 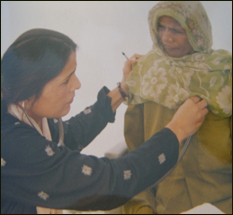 Treatment and medicines are provided free of cost. 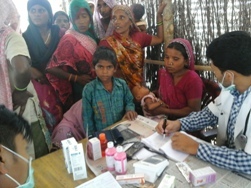 These medical camps are organized on a regular basis. Children and women are given special attention. UAFDC has started insurance cover to labors engaged in Corporation activities which has been successful in safeguarding social security of the labor. The Corporation provides insurance cover to its laborers under the Group Insurance Scheme of up to Rs. 25,000 in case of death or full disability and Rs. 5000 in case of partial disability.